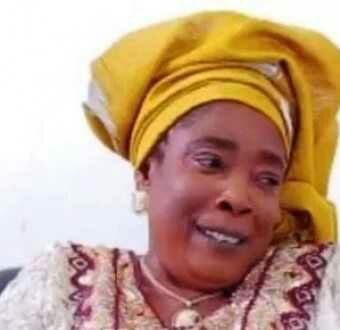 Veteran Yoruba Actress, Kudirat Odukanmi Eluyemi otherwise known as Iyabo Oko has just revealed that she has been seriously ill with a strange ailment which has since been diagnosed to be Stroke since June 2016. In a recent interview with City People, the veteran actress narrates her ordeal saying, 'I thank God almighty for sparing my life till this moment. The devil tried his best but God showed him that He is truly Alfa and Omega. What happened was that, that very day, after I woke up from my sleep very early in the morning and I attempted to talk, I just found out that I couldn’t talk any longer and I was told it was a partial stroke. I was taken to a hospital and I was treated, the doctors really tried their best. The hospital is called 68 Military Hospital, Yaba, Lagos'. She continued to say, 'they tried their best but I couldn’t just talk for months but I still give glory to God that I can now talk properly. The funny thing is that, I was not paralyzed; my legs and hands were effective, just that I couldn’t talk. I first spent 2 weeks at the hospital and when I got home, it started again and I returned to the hospital. I visited the hospital like 3 times. Kemi Afolabi and Sikiratu Sindodo even saw me because she brought her grandma to the same hospital. Kemi was weeping when she saw me, she took good care of me and she also gave me money. 'I was at home but doctors were coming to treat me. He employed a therapist and after a month, I started talking and my son finally took me to India where everything was perfected. I spent 7months in India receiving treatment at home. I give glory to God almighty that I am now okay. I do exercises frequently, I go out and I do all things, the only difference you will notice about me now is that I am not as agile as I used to be. I have lost a lot of weight and I love it like that because I now keep fit. I was so scared during those trying periods because there were several bad news coming from the industry. You hear different stories about Nollywood stars which were adding more to the illness I was already suffering from. But thank God, Jesus conquered for me'.